So glad you stopped by today! 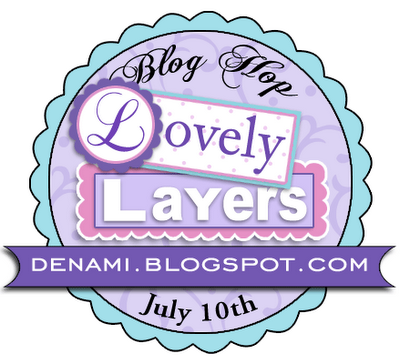 The DeNami blog hop is underway and we are showcasing "Lovely Layers"! 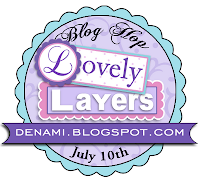 If you are following the list of blog hop participants from the DeNami blog, you hopped here from Annette's blog! If you want to start back at the beginning, just click HERE to go back to the DeNami blog! 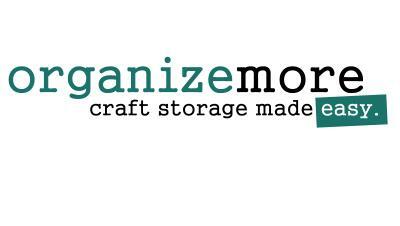 I have a super quick and easy layered card to share with you! This card was made using the Polka Dot Background stamp, the new Water Lily Stamp and the Petit Four called Heartfelt Greetings! I made the edge detail using a Scor-Bug! Such a fun little tool! Then I layered some white and green strips and squares! That gorgeous Water Lily is also layered! I stamped it 4 times and just layered it up with some foam tape! Your next stop is Tina's blog! On a side note, I want to thank all of the amazing tweets, emails and comments about Gallery Idol! I am over the moon excited about making the Top 20! What an honor! Stop back by tomorrow to see my Round 1 card! I have it ready and waiting to post and I can't wait to share! Hey Laurie!!! I love this color combo! Reminds me of Springtime. So lovely! I'm always bumming about the fact that I don't sew and therefore can't get that cool effect on my cards, but now I'm thinking that I need to get a Scor-Bug. I love the texture and the whole look it gives, so thank you for the inspiration! Hugs to you :) I love that scor bug also!!! Colors are great as always. Counting the hours to see what you come up with for the Idol Gallery!! Oh Laurie this is beautiful. So clean and simple, so perfectly you. Great colors and love the way you've incorporated layers too. Really clean line design! I love the way you layered the green dot paper, and also the way that you used the black ink to accent your petals. Absolutely beautiful. Beautiful card, I love your layers! So simple and beautiful. I especially like the column of dots down the right side, nice touch. I really like that flower and it's layers!!! The Scor-bug detail is always a plus! Positively STUNNING!!! You have such a great eye for composition!!! Teach me, oh talented one!!! GORGEOUS layers friend! This is simply beautiful! What a lovely lily image, beautifully layered. Lovely card Laurie! So CAS and so well done, love those colors! love the 3d effects without the 3d glasses. I'm gonna use that idea myself! THANKS! Very pretty simple layers card. I love it. Great job. 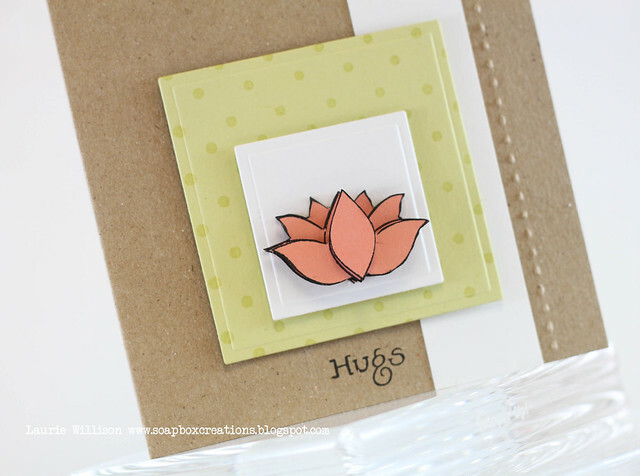 Like that new water lilies stamp. I so wish I could make something as pretty and clean as this card...I always seem to over-do it...how pretty! I love the layered flower! Such a pretty card! Thanks for sharing! This is beautiful, Laurie! 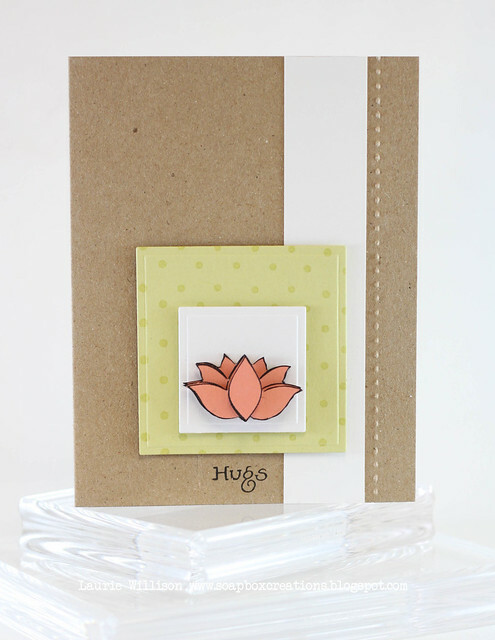 I love how you layered that pretty new waterlily stamp. And your CAS approach to the layering is terrific. Thanks for the inspiration! Oh wow! This is one beautiful card...LOVE IT!!! So pretty. 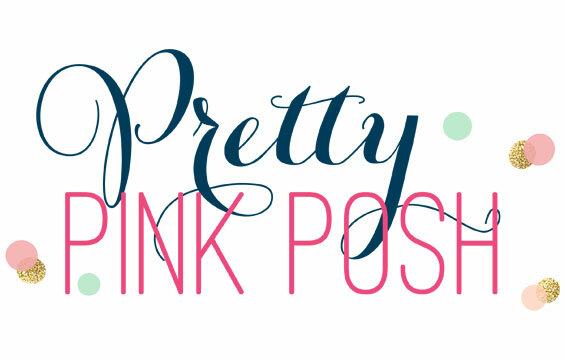 Love how you made the polka dot background and the lovely flower. Score-bug!? Sounds very interesting. Great card. Beautiful, clean and simple design. 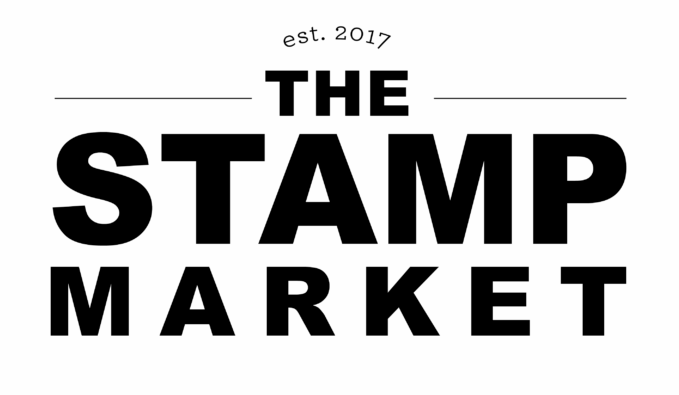 I am liking this new stamp, too! Gorgeous Laurie!! Love the subtle embossed edges and congrats on Gallery Idol!! beautiful! so simple with so much depth! Talk about LOVELY LAYERS! I love the CAS layout, and the scoring details! simply beautiful! Love those 3 colors together and how you used the scor-bug. Lovely as always Laurie! The colors are perfect and so "you"! Your score-bug detail is awesome. Nice!The layered flower is so cute. LOVE the CAS design!!! Simply beautiful! That is so pretty! Love the flower and the stitching =) TFS! Great colors that make that simple flower just pop! Love the color and the design of your card. LOVE the way you layered the water lily!! JUST GORGEOUS!!! AND the soft color palette is sooooo pretty, too!!!!! CONGRATS on making it into the Gallery Idol competition!!!! GOOD LUCK!!!!!! I love that sweet little water lilly! I rarely think to pull out my scor-bug anymore! I need to think of it more often because I love the detail it adds! This card is really pretty! love the CAS design! What a great use of that new Denami stamp. Love the colors you used. CONGRATULATIONS on Gallery Idol! Your flowers are beautiful! That is one pretty flower! LOVE the layers, great colors too!